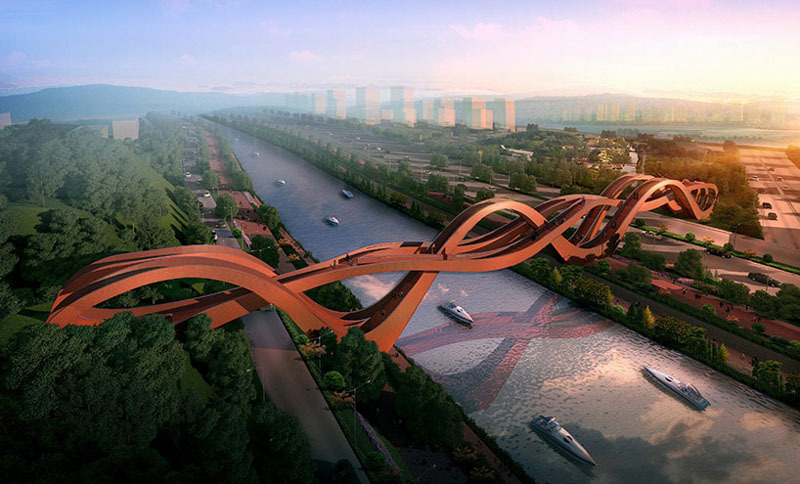 NEXT architects is awarded a first prize in an international competition for a pedestrian bridge over the Meixi Lake in China. The pedestrian bridge is one of the key projects within the Dragon King Harbor River development and is situated besides Changsha, capital of Hunan province in China. With a total span of more than 150 meter and 24 meters high, the bridge connects a diversity of routings on different heights. Construction is scheduled for next year.